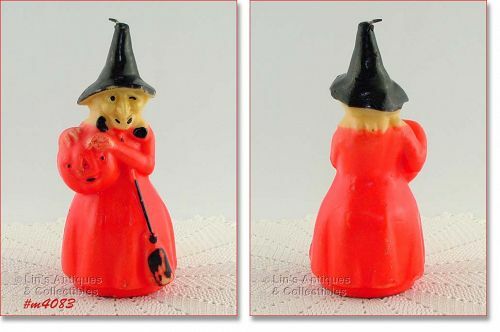 This is another neat vintage Gurley candle – a witch! This is the taller size witch – measures 8 ¼” at tallest – and still has the original cardboard label/base. She is in very good condition with some black color loss, scuffs, etc.